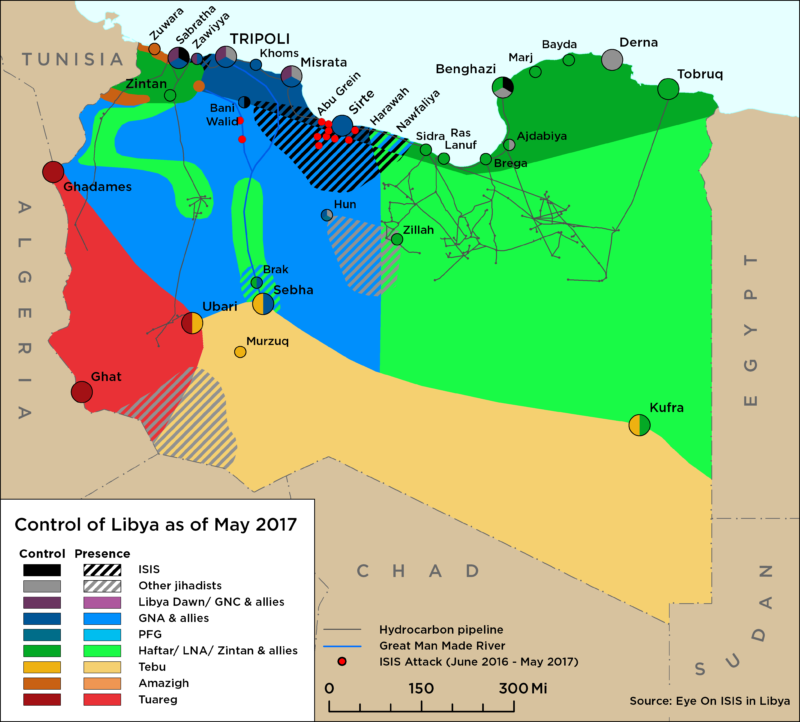 On 22 March, the US State Department warned of an imminent attack on a vital national institution in Tripoli on 23 March. The attack warning followed reports of an improvised explosive device (IEDs) being discovered on Zawiyyah Street in the area of the Central Post Office earlier that day. On 20 March, UN Envoy to Libya Ghassan Salame announced the details of the long-delayed National Conference. It will take place in Ghadames on 14-16 April and will be attended by 120 – 140 participants. No list of participants has been issued yet. Salame said that the National Conference will ‘chart a roadmap to conclude the transitional period.’ The conference will determine the date of presidential and parliamentary elections (whether simultaneous or phased), provide recommendations on how to deal with the Draft Constitution (holding a referendum on the draft before or after elections, or revisiting the whole drafting process), and choose whether to endorse the ‘National Charter’ that is hoped will be the end product of the National Conference consultative process. 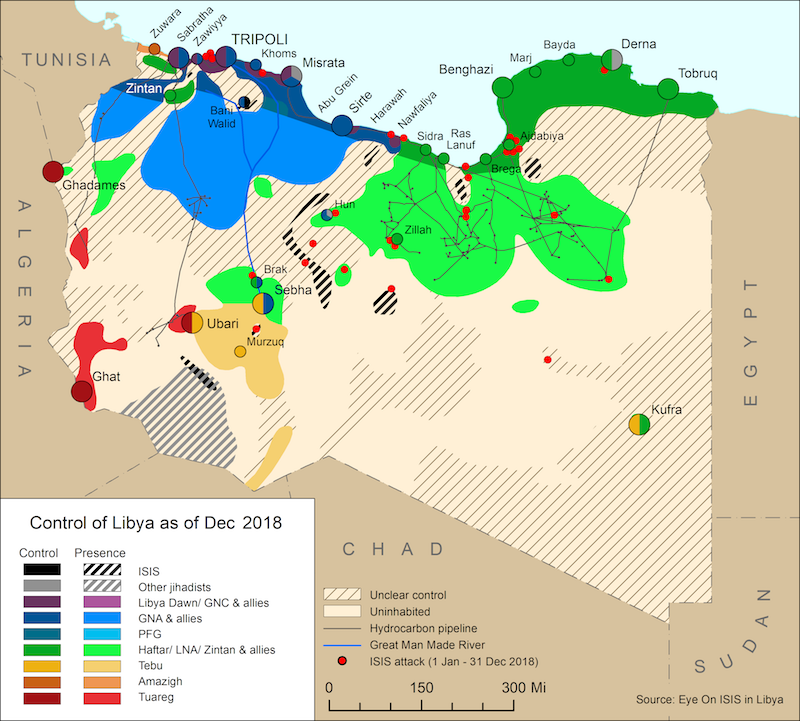 Salame said the charter produced through the conference should build on the elusive ‘agreement’ made between Government of National Accord (GNA) Prime Minister Fayez al-Serraj and Libyan National Army (LNA) head Khalifa Haftar in Abu Dhabi in late February, the main principles being to end the transitional period, hold elections by the end of the year and unify institutions. Salame stressed that the conference will not be an alternative to existing political bodies, but that if these bodies fail to implement the agreements made at the conference, then ‘alternatives’ will be found. He added that the outputs of the conference will be purely Libyan and that the role of the international community will be limited to support only.